About a month ago I went to Marshall’s with my mom. It’s one of the many stops we make during our shopping trips. I haven’t been to Marshall’s in FOREVER so I was looking forward to it. Sometimes I go through the homeware section and other times I don’t. Well, it seems I hadn’t been to homeware because what I thought was new my mom had to tell me had been out for a while and people had gone crazy during the release. So crazy that people were fighting at certain locations. Rae Dunn…am I the only one that missed this? Rae Dunn is a collection of pottery that is now being sold at Marshalls, T.J Maxx, and Home Goods. These items sell for $10-$20 but the frenzy behind these pieces quickly turn them into a money maker. 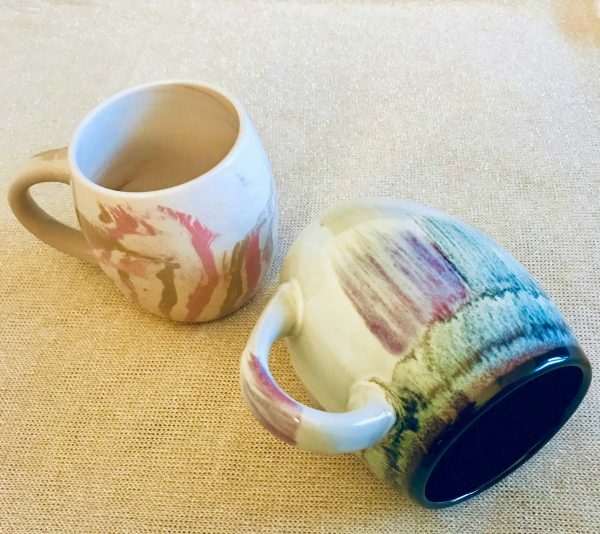 The pottery that is released is considered to be ‘special edition’ because every few months the entire collection changes and those items will no longer be available. For example, I read that some people who had purchased some of these items at such a low price were able to sell these exact items online for up to $300!!! Here a few items I picked up and not aware of the popularity, maybe I should have guarded my buggy a little closer while I was in the store. I paid $5.99 each. They are great for holding makeup brushes and lip liners. Last year this time before I moved I bought a blue and pink mug…the pink one broke during my move. This time around I purchased 2 pink mugs in different sizes($3.99 each). The smaller is for coffee and the larger for tea, apple cider or hot cocoa with marshmallows. Yummy!!! Comment down below if you have purchased any Rae Dunn items or been to Marshalls and found some new accessories you are really liking. Yes you missed the craze. I have 2 mugs that were given to me by a co-worker. One says boss and the other says yes. I think Hobby Lobby will soon be carrying this line of pottery.